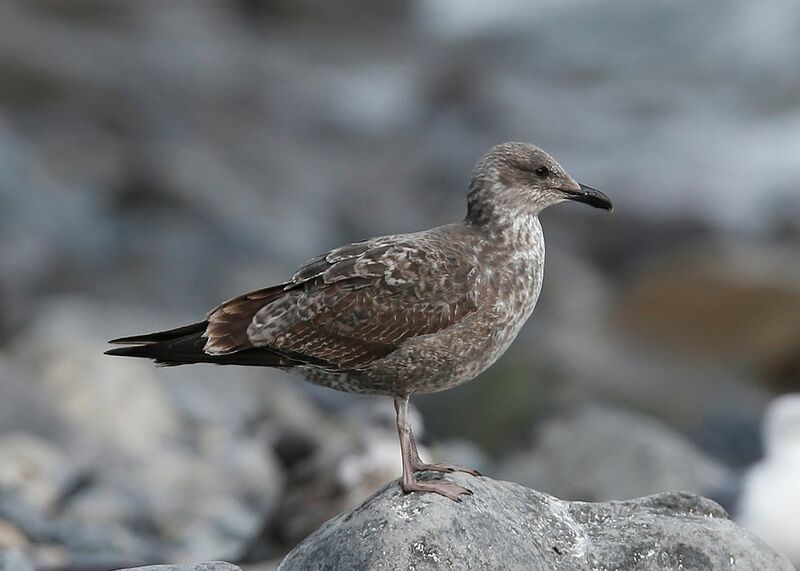 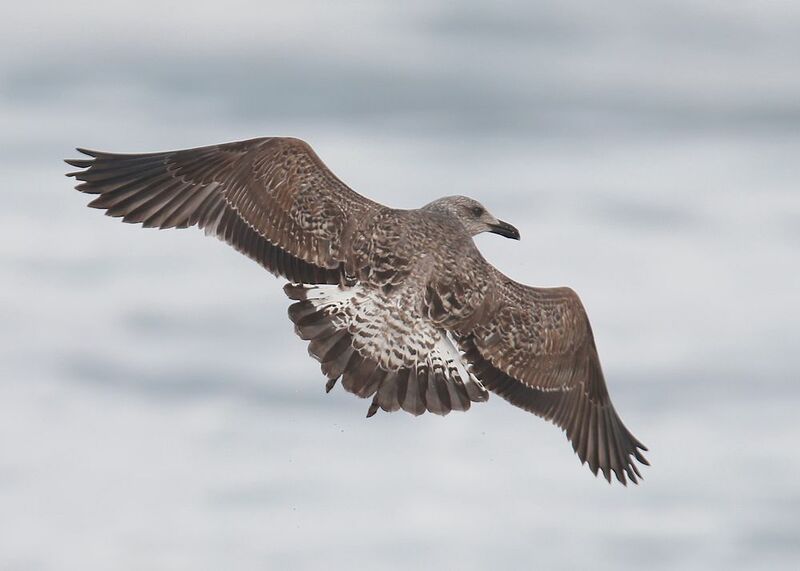 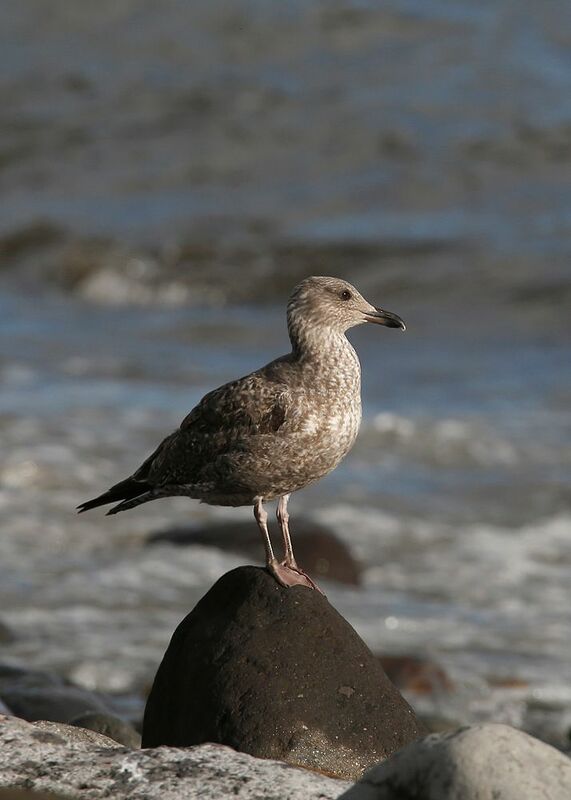 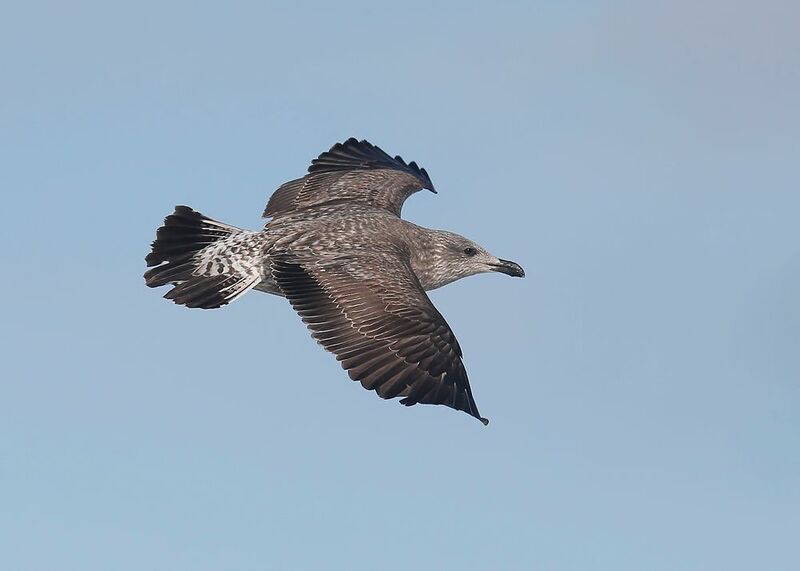 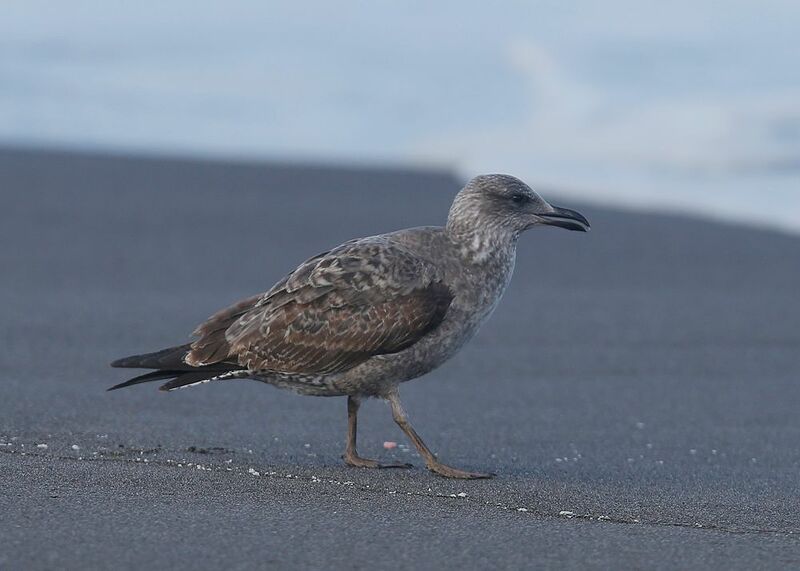 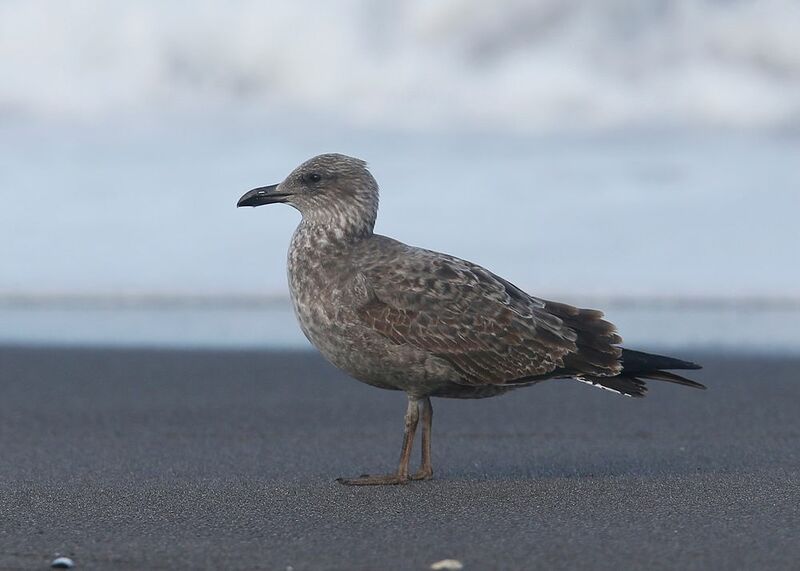 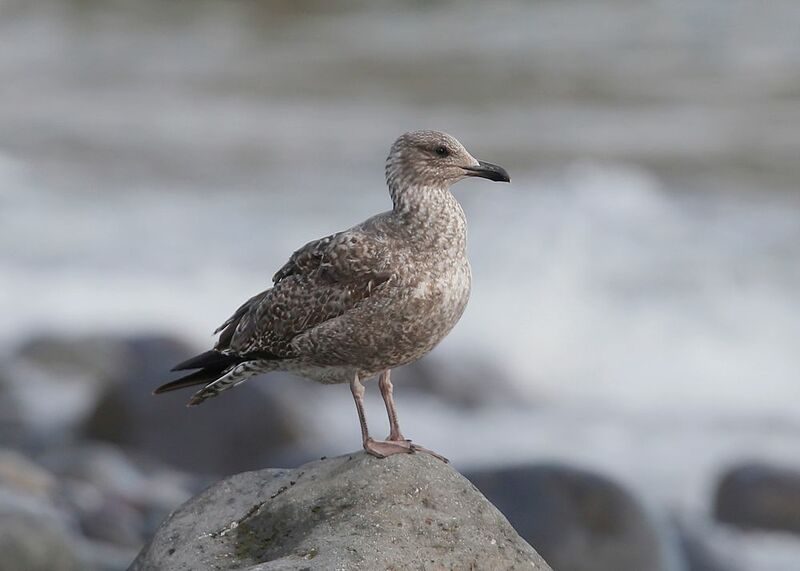 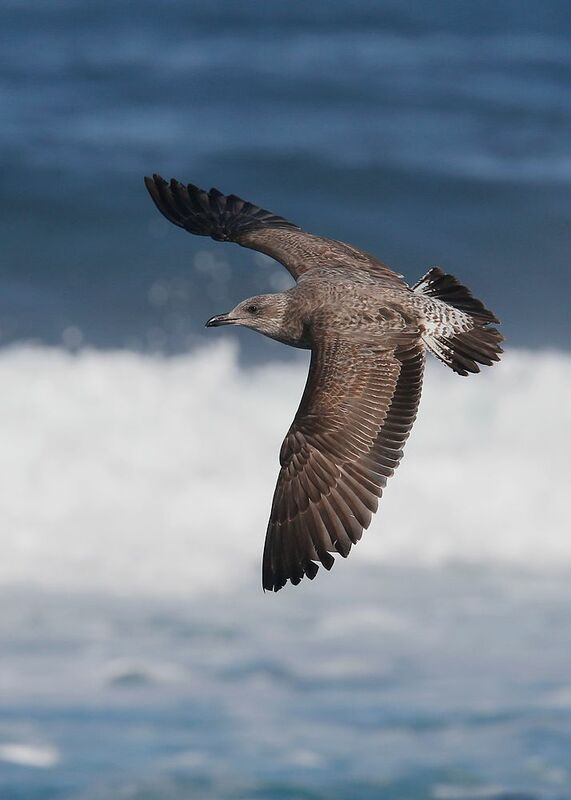 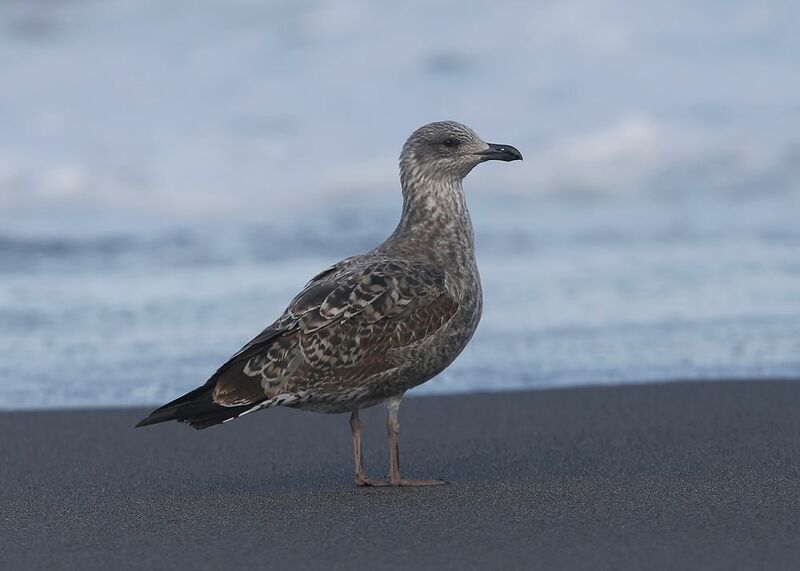 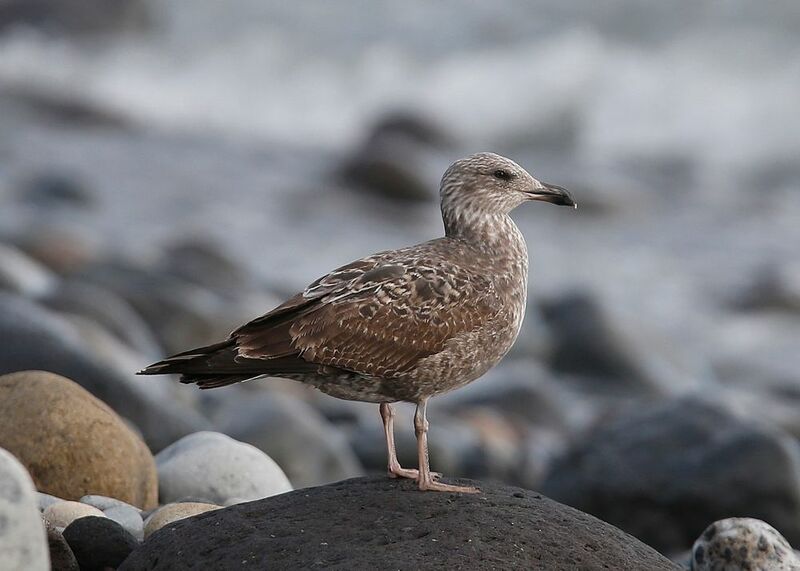 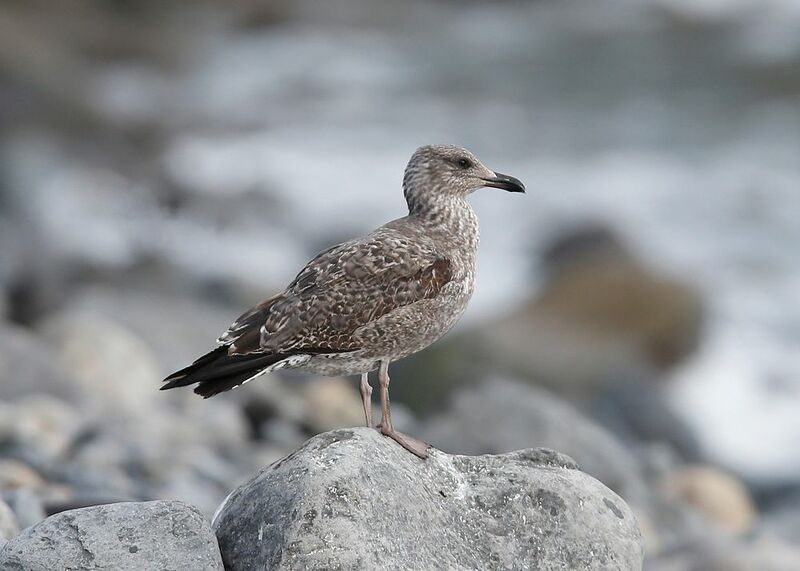 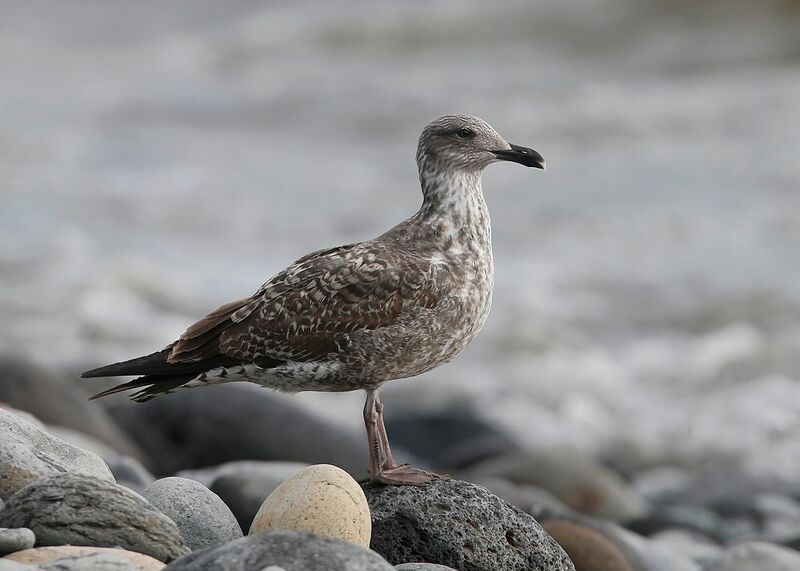 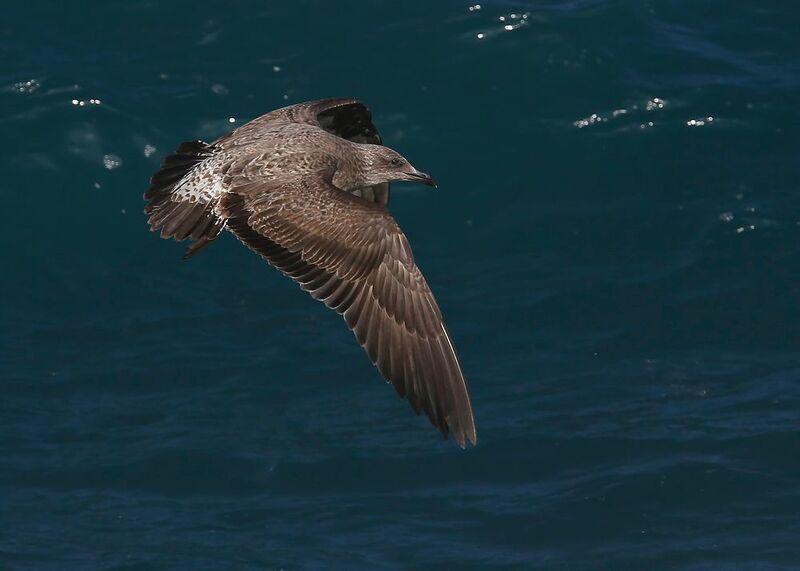 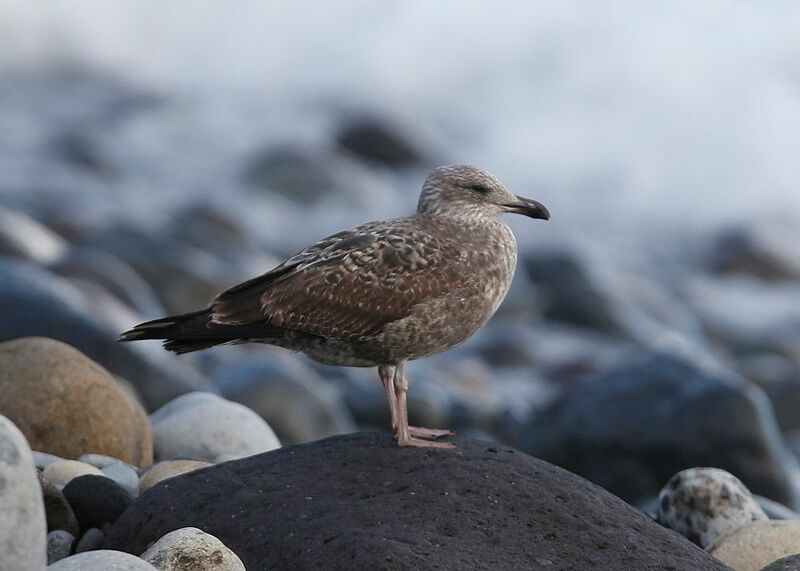 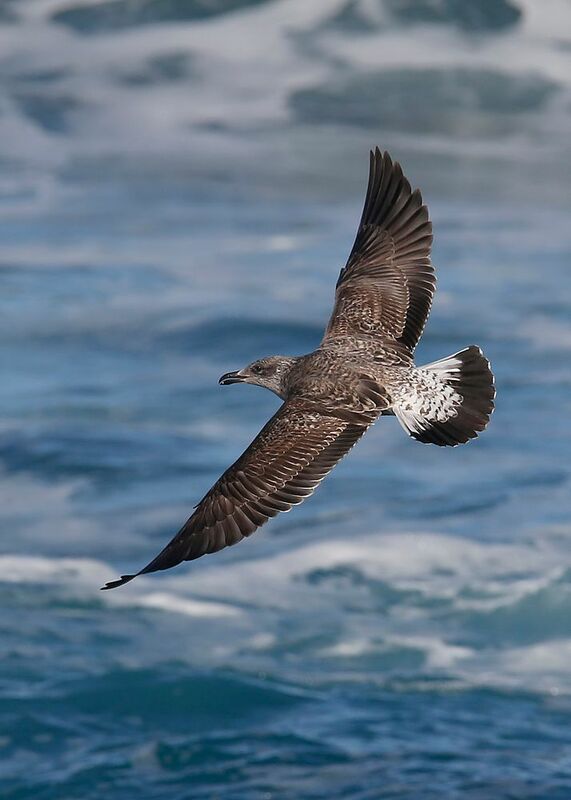 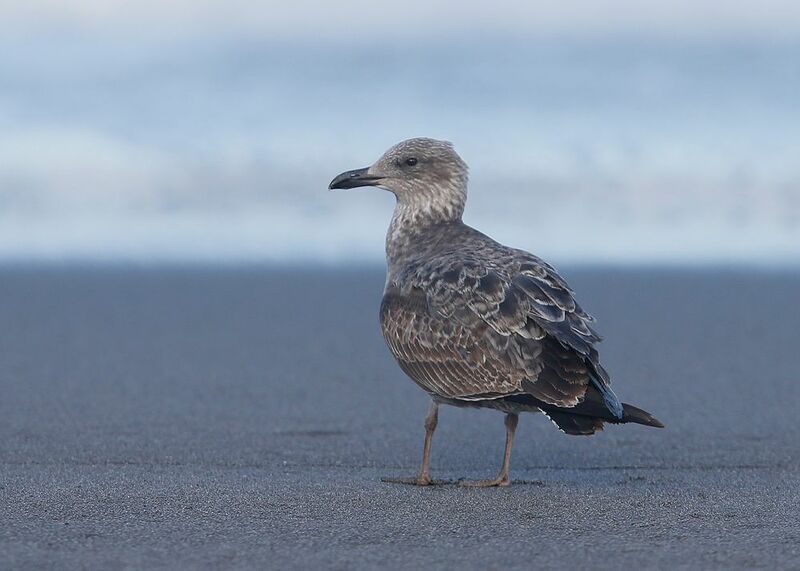 Azorean Gull ~ 1st. 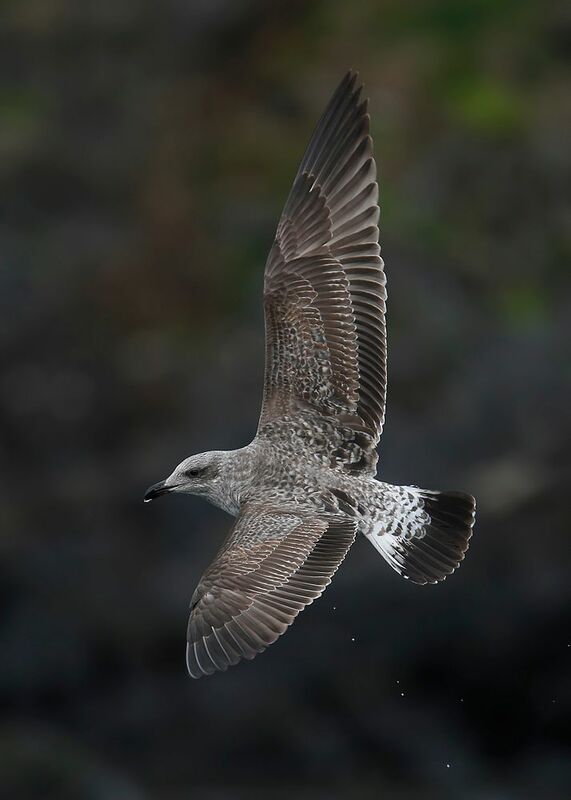 W ~ Larus michahellis atlantis ~ Sao Miguel, Azores -Nov' 16 | Birding the day away !! 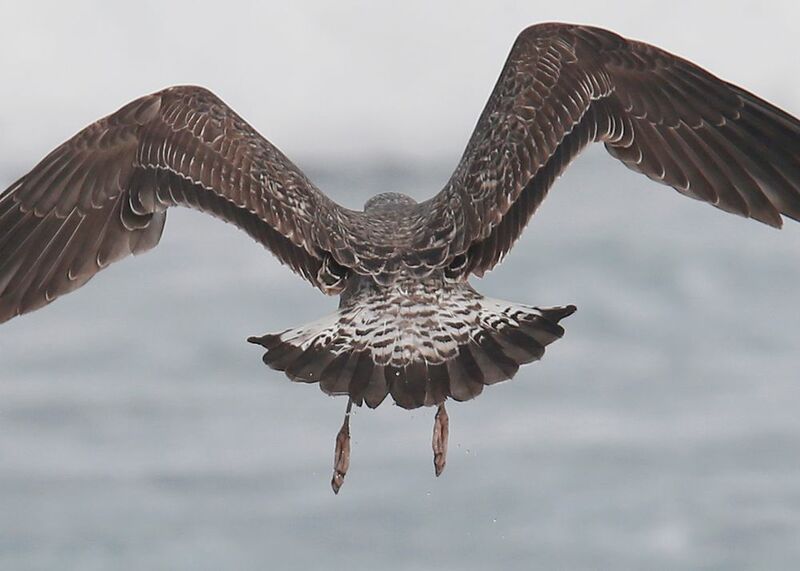 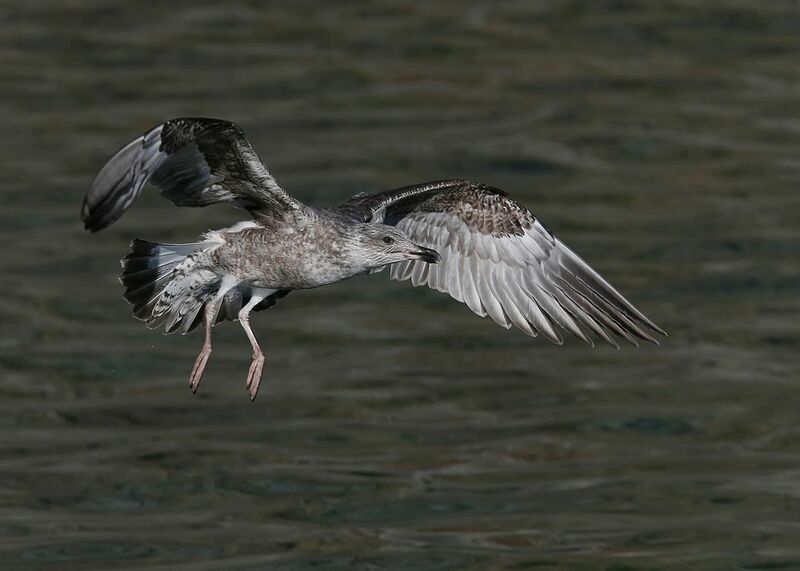 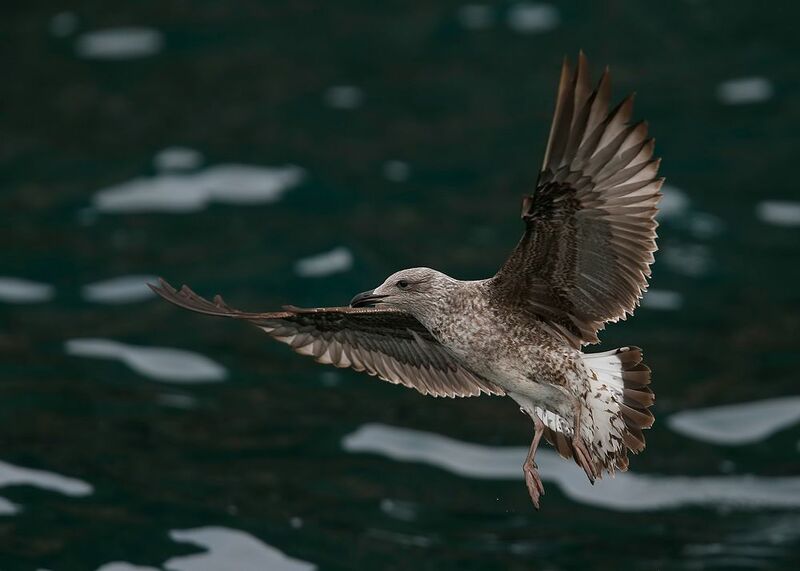 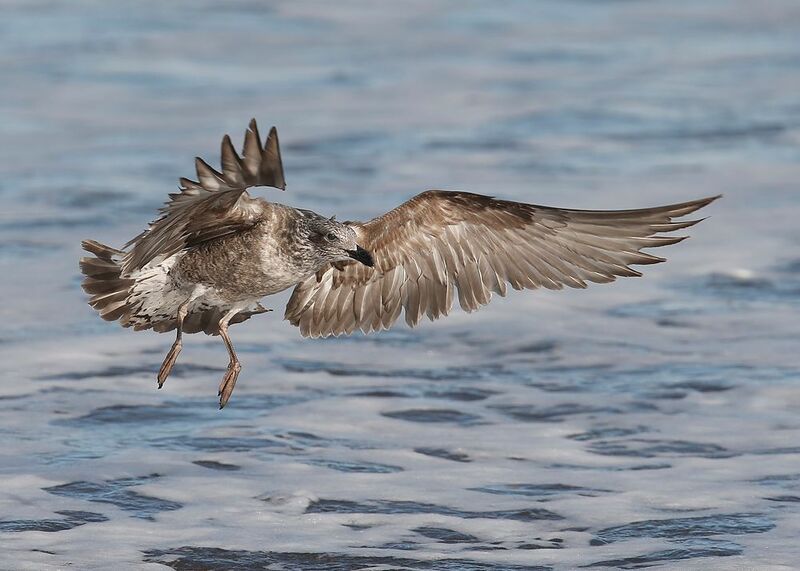 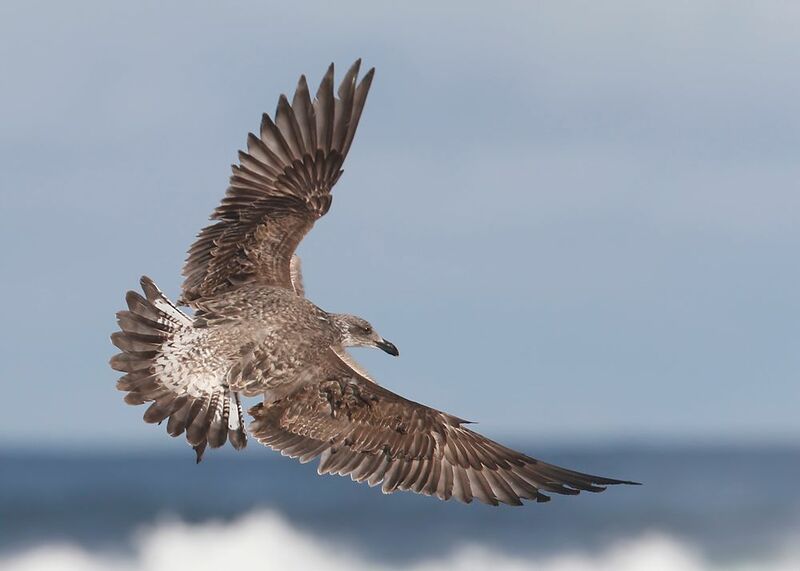 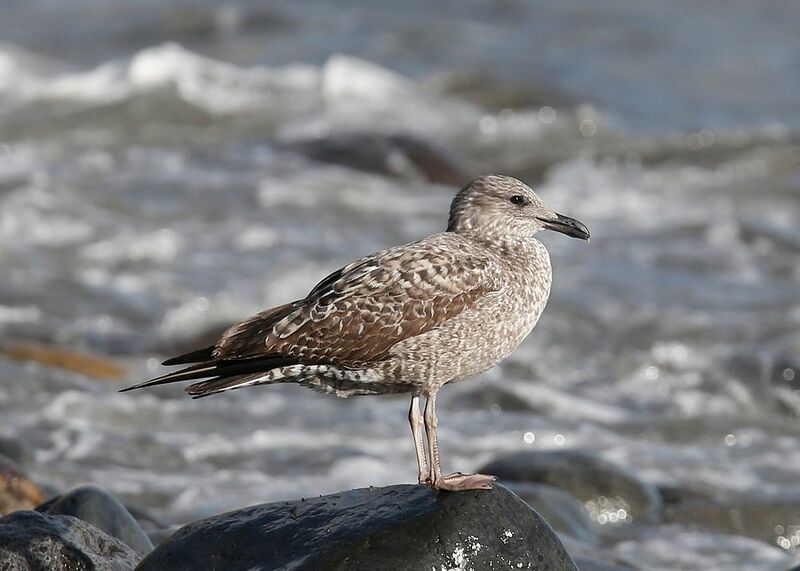 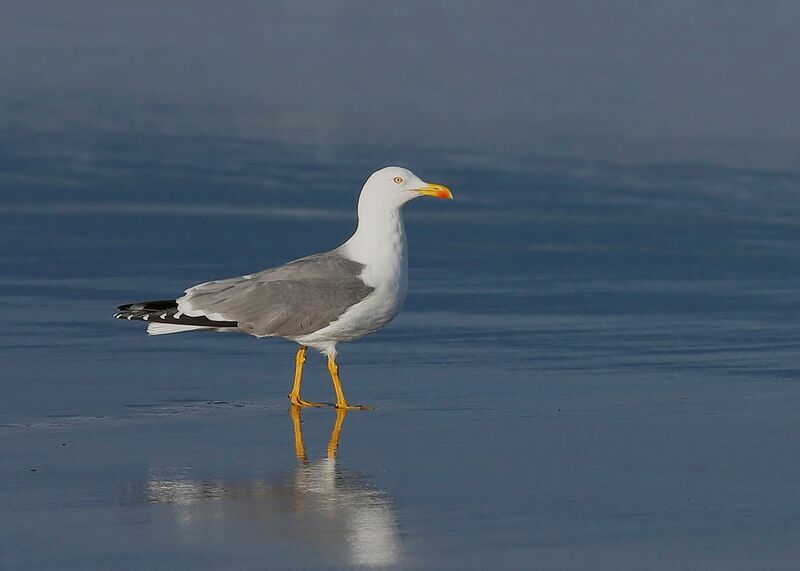 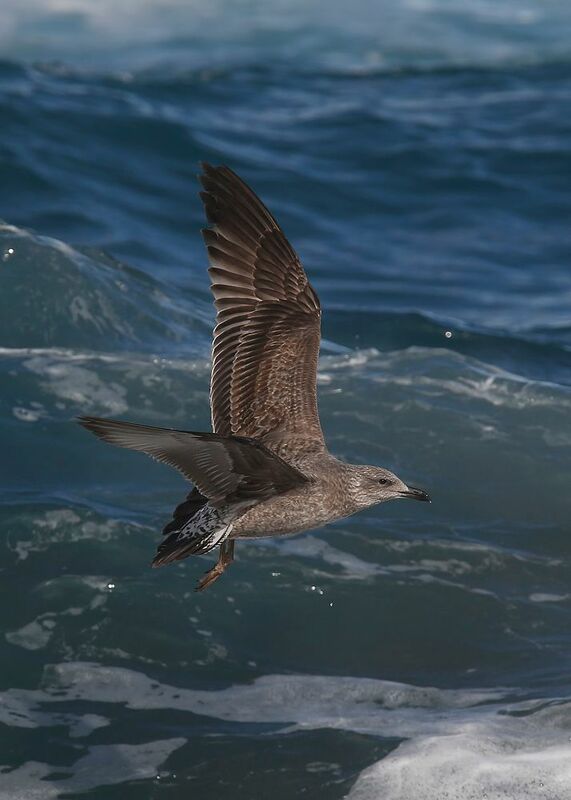 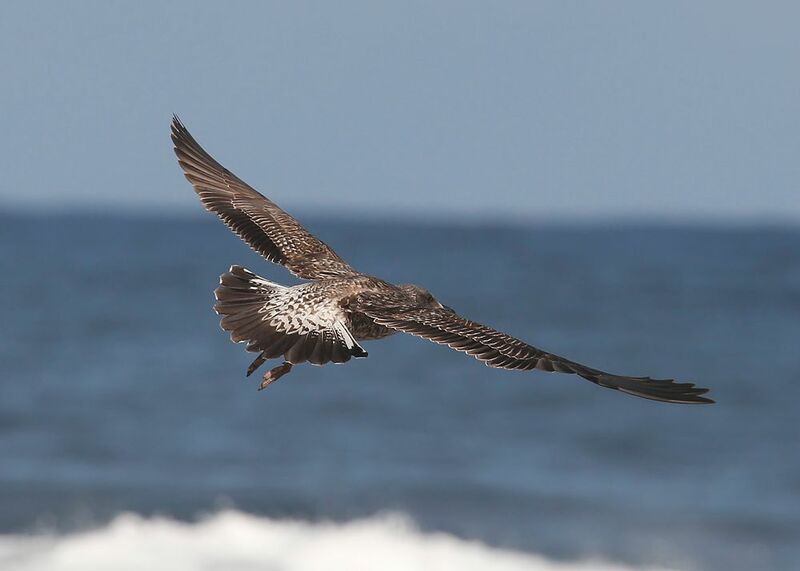 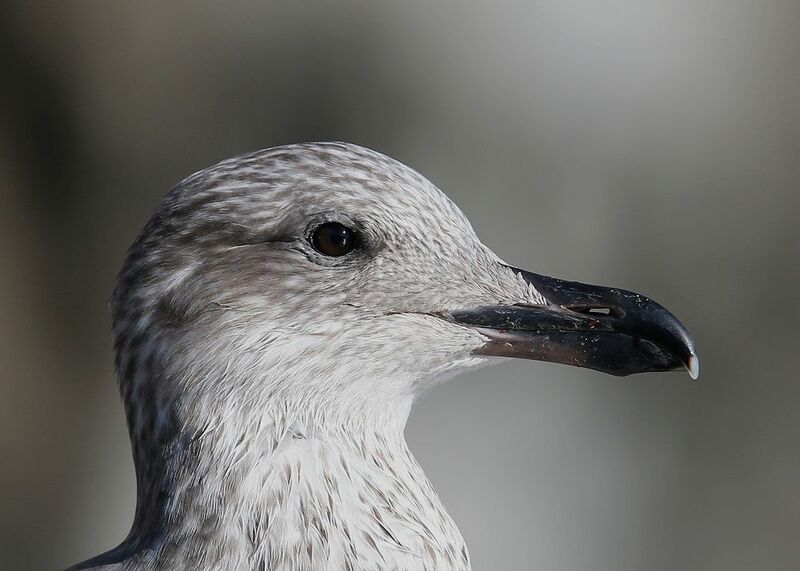 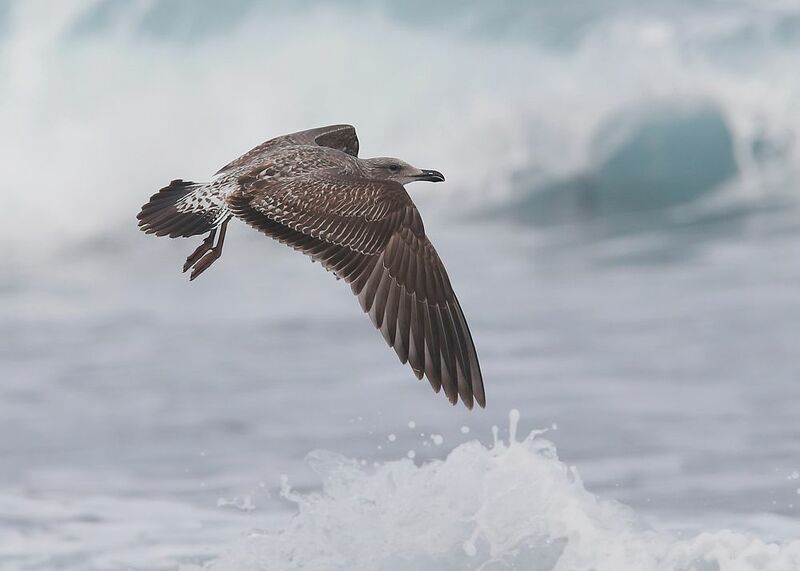 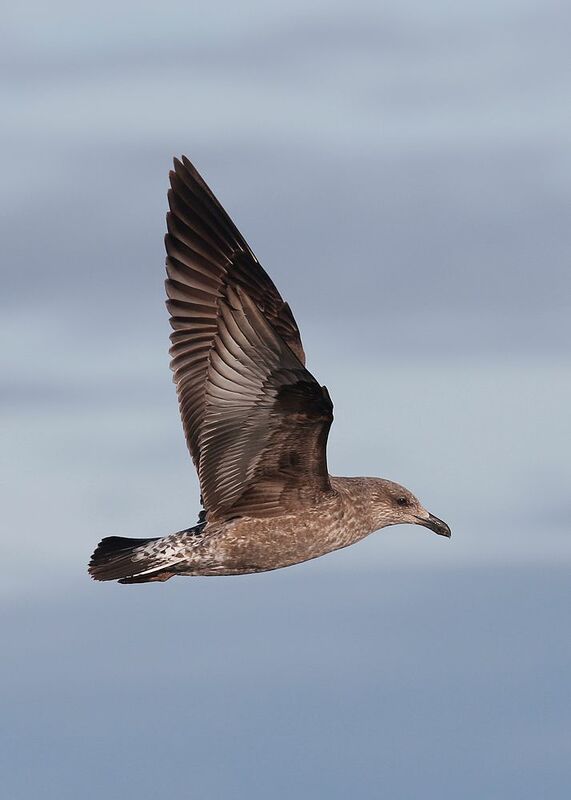 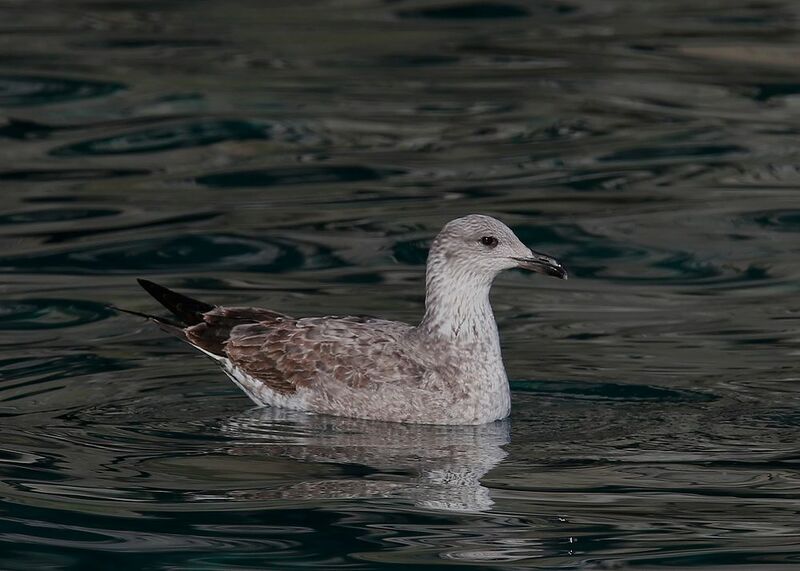 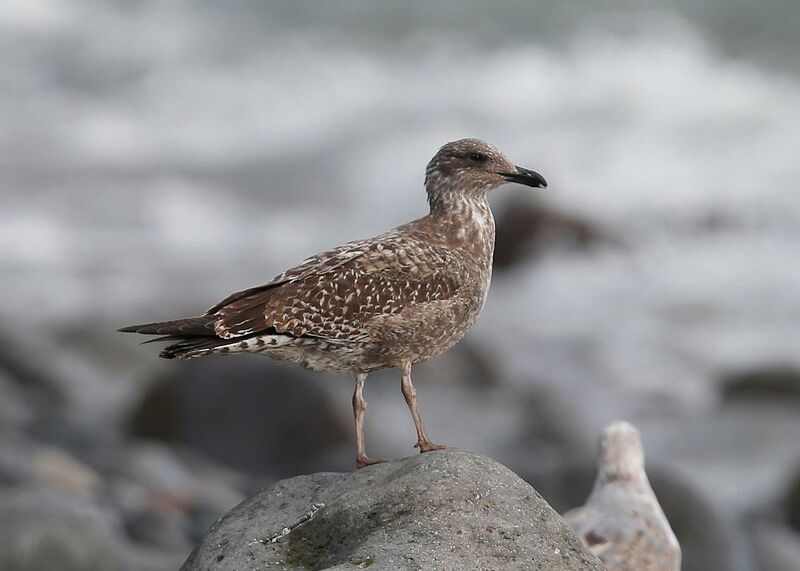 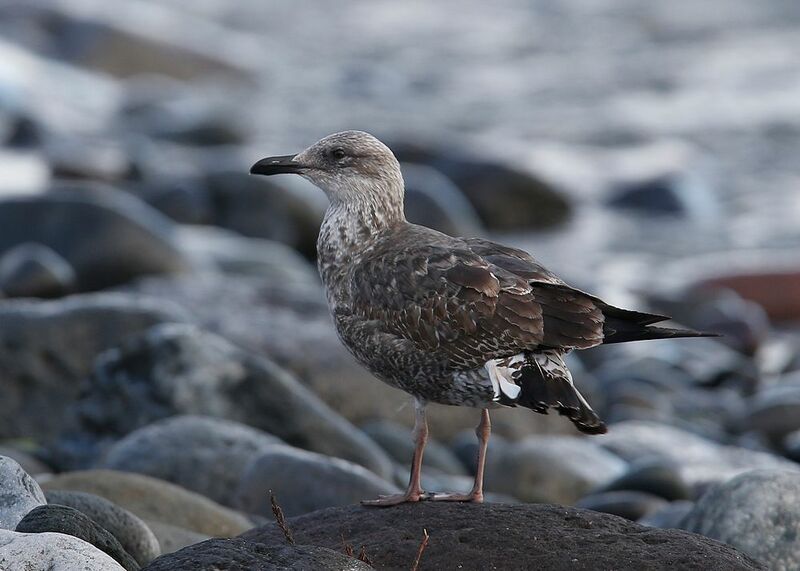 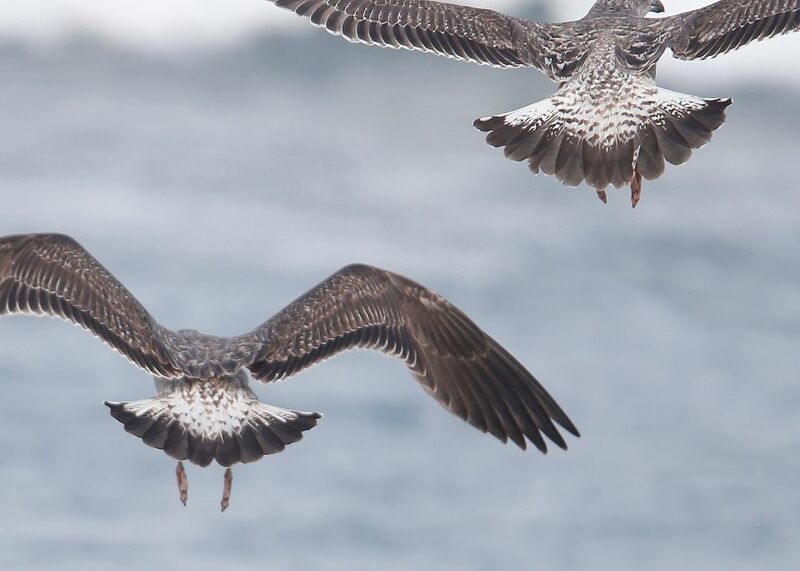 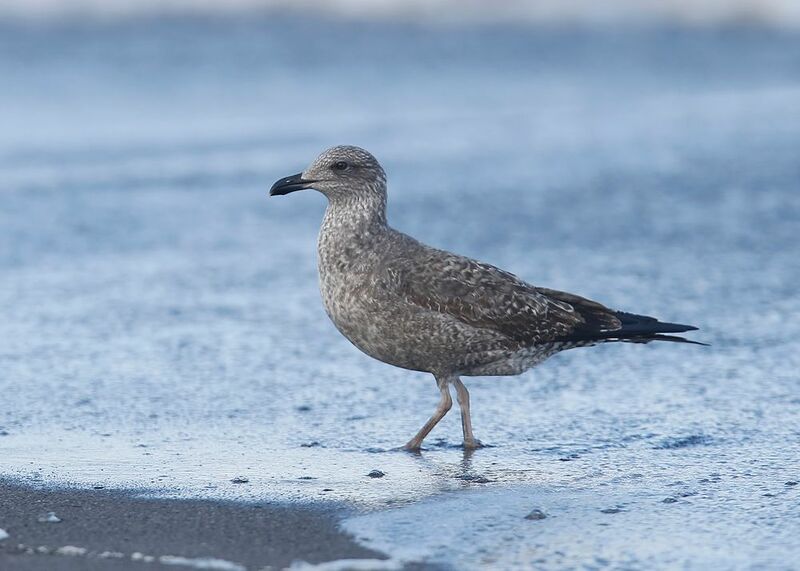 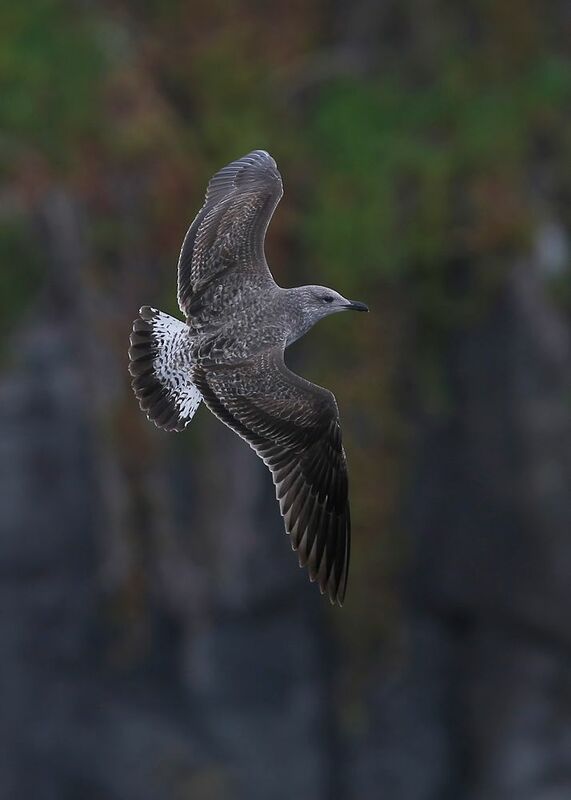 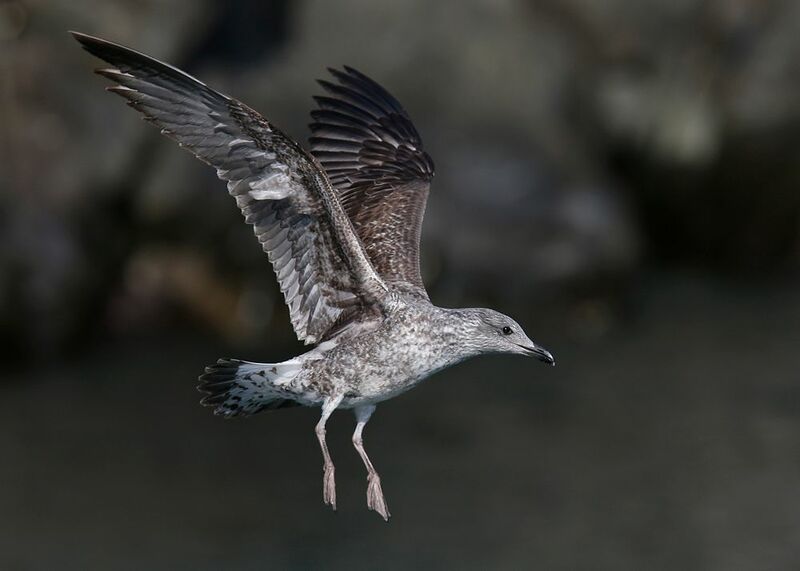 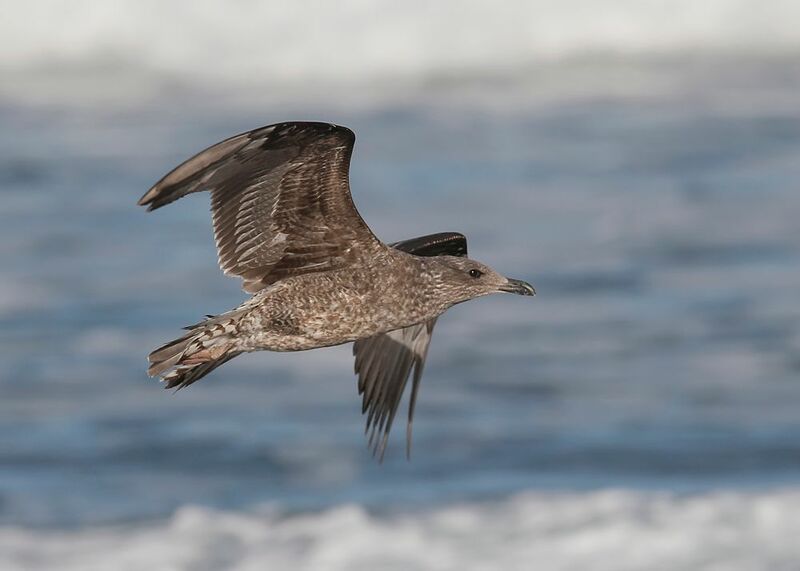 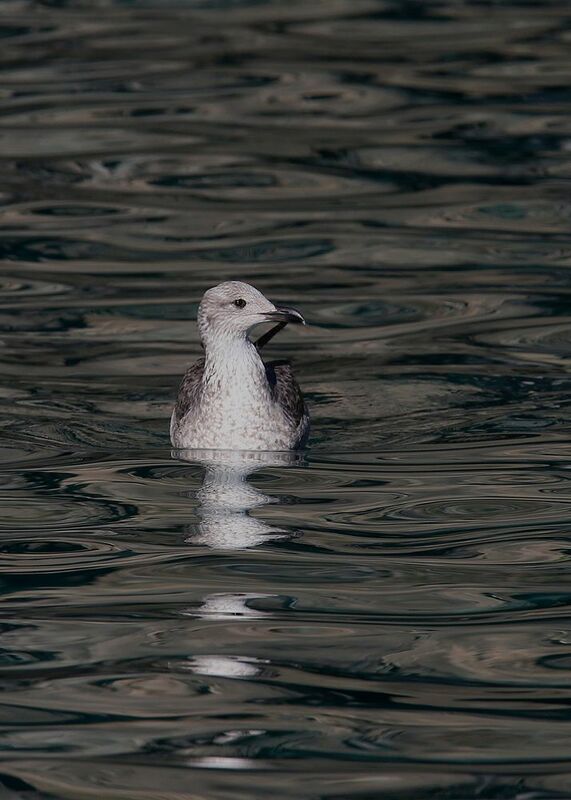 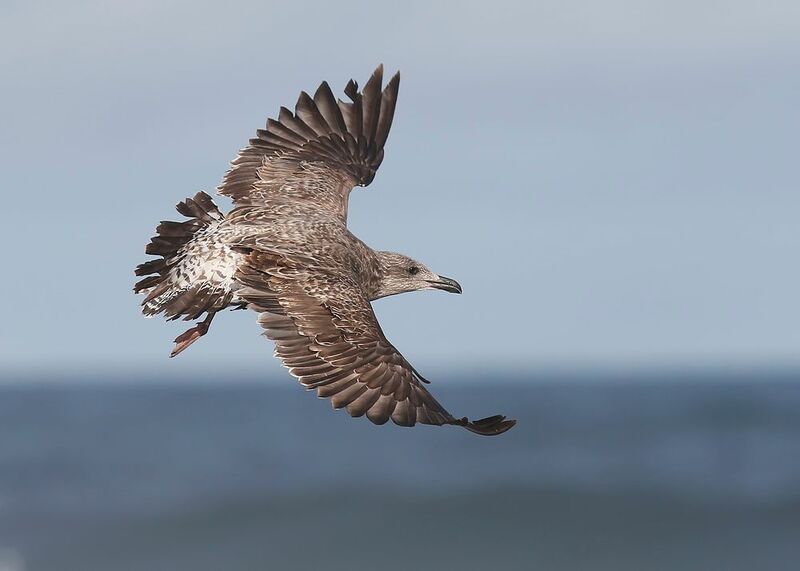 Azorean Gulls ~ Larus michahellis atlantis all photographed on Sao Miguel in the last week in November, main sites where Ribeira Grande, Caloura and Lagao de porto .. 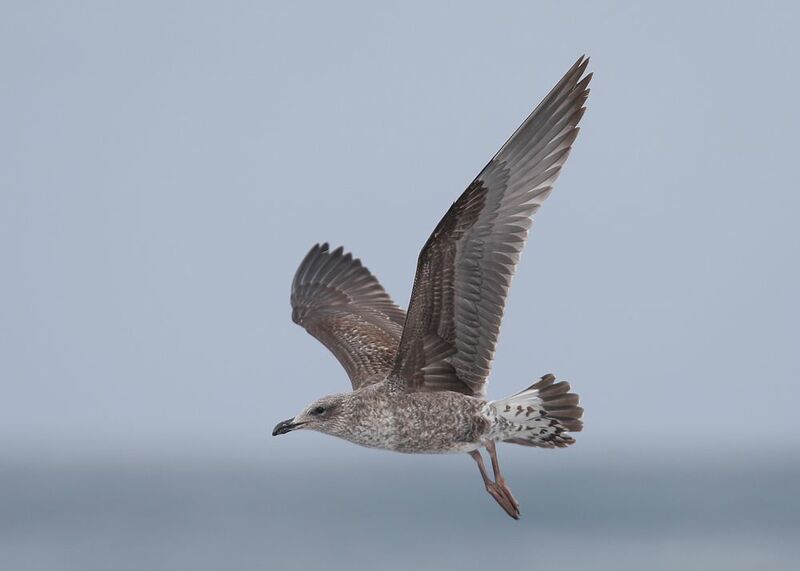 The following images are all 1st winter birds .. 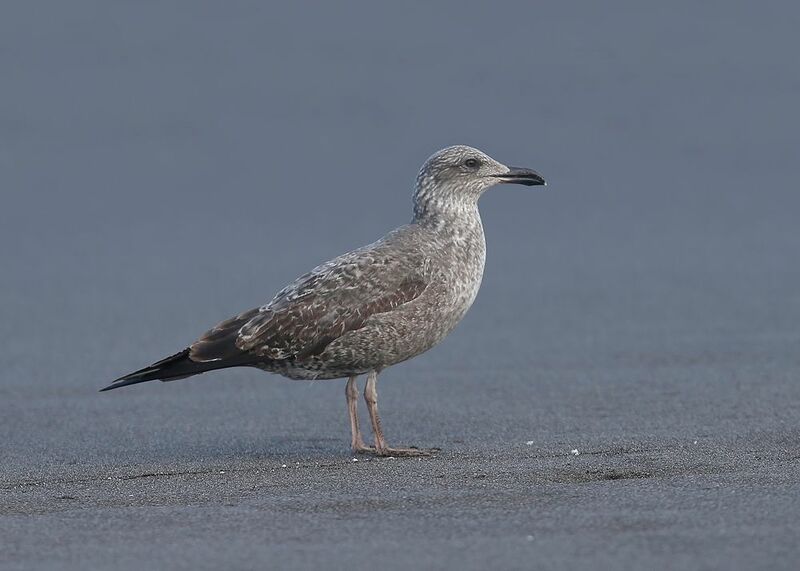 Smaller, shorter legged with shin-pads. 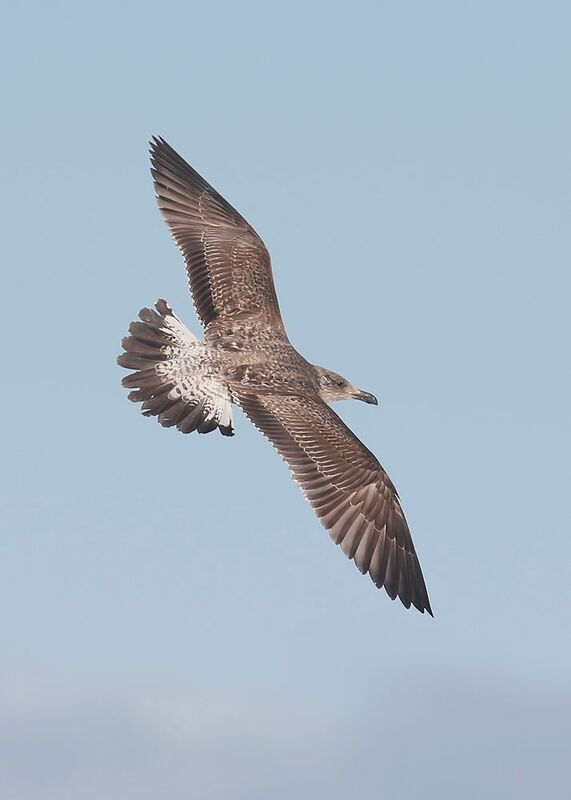 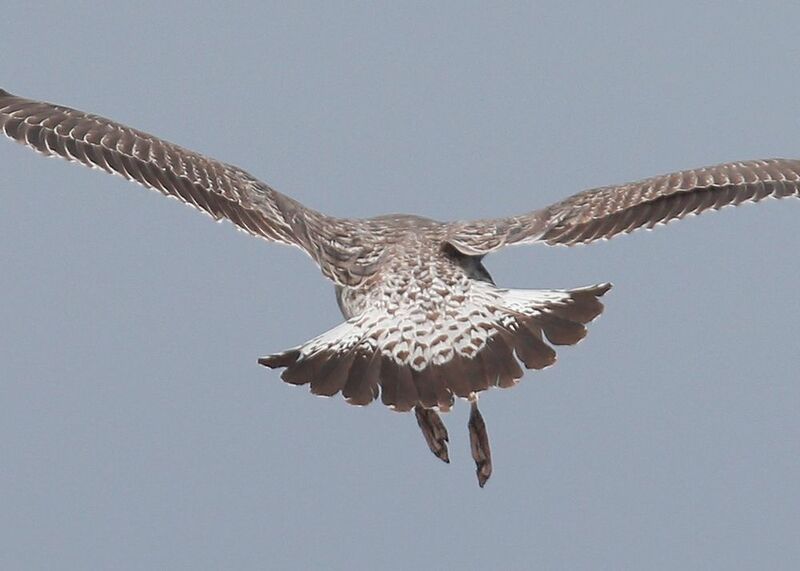 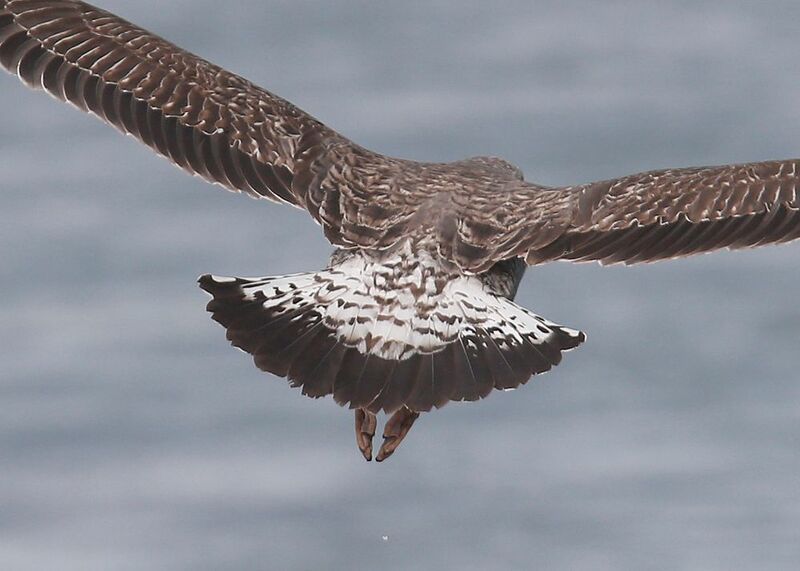 A good proportion of the birds retain most of there juvenile plumage, moulting straight to 2nd. 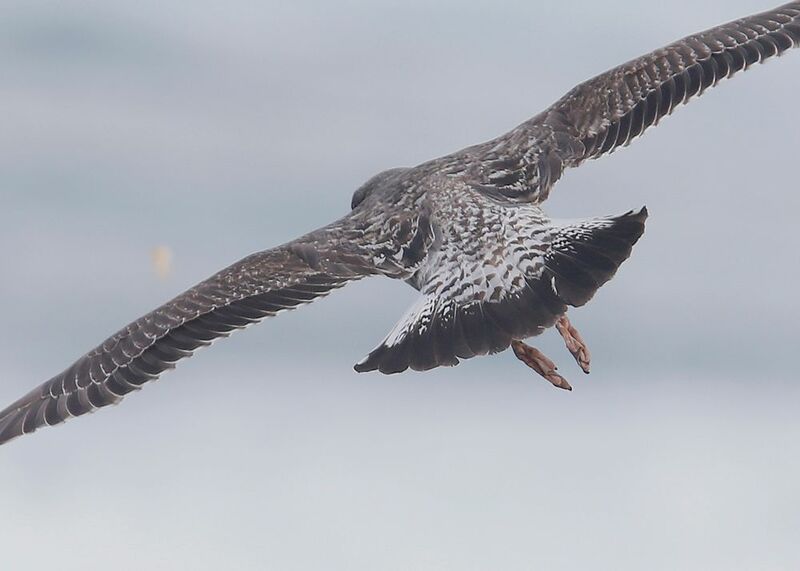 W.. 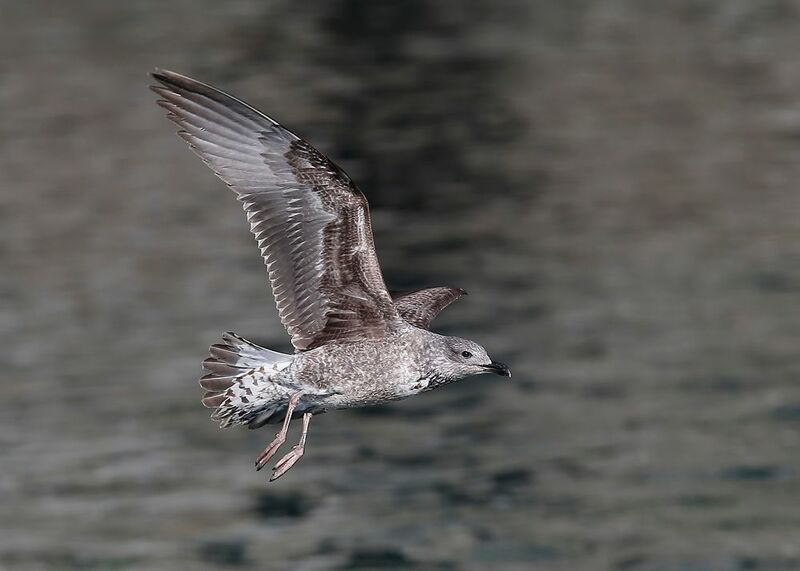 Overall the plumage is dark brown, with moult restricted to if any the scapulars which are replaced with darker grey 2nd gen, a few median/lesser coverts also .. 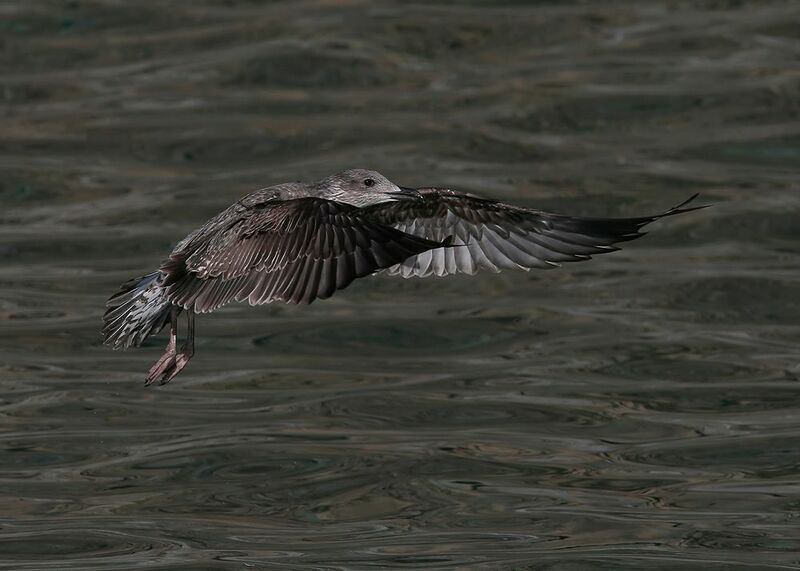 The upperwing shows little or no primary window, and the trailing edge created by the solid dark brown secondaries are typical michahellis .. 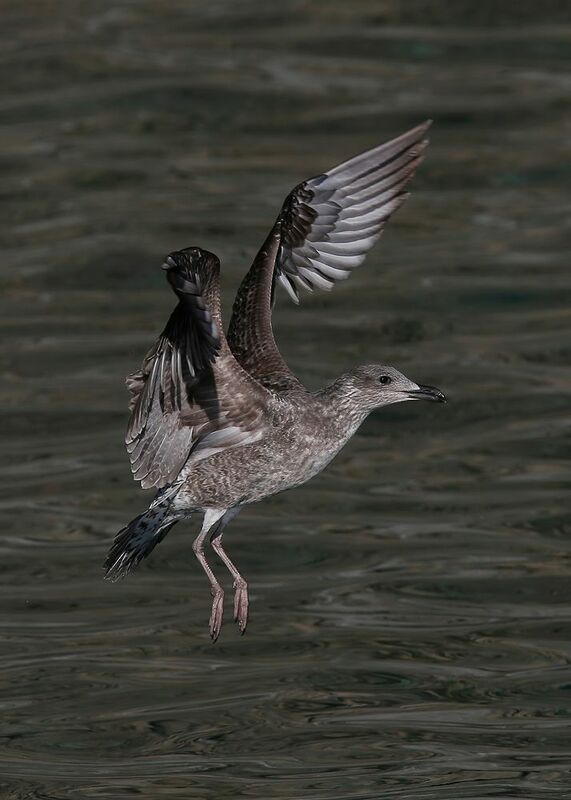 Dark tail-bar with uppertail barring ..